Want to see all the technologies used by niu.edu? 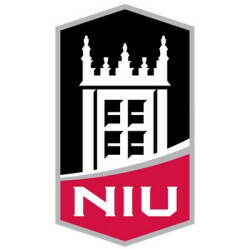 Northern Illinois University (NIU), located in Dekalb, Illinois, offers strong undergraduate and graduate academics and a fun, vibrant campus life. NIU has seven colleges, which grant degrees in more than 60 undergraduate majors and over 75 graduate programs. Offerings range from undergraduate degrees in the arts and sciences to a doctoral degree in Physical Therapy. One of the many high rankings earned by Nothern Illinois was by Washington Monthly’s College Guide, which placed it within the top 100 universities in the country in the categories of service to the community and research. They also gave it a high ranking for social mobility and granting degrees to low-income students. NIU’s Public Administration graduate program was ranked third nationally by U.S. News and World Report. A number of other departments, such as visual arts and education, have received recognition from various organizations as well. Most of Northern Illinois University’s programs offer opportunities for internships or community service related to one’s area of study. Most undergraduate programs also provide a teaching certification option, which allows students to teach their subjects at a high school or elementary school. Grants, loans, scholarships, tuition waivers and federal work-study are the types of financial aid offered to eligible students. For a quick look at additional technographic info on niu.edu or any domain on the web, download our Chrome Extension. Check out our help article to see how Datanyze Insider can help you.